Arrive Delhi International airport, you will be met and assisted by our representative to the hotel, check in at the hotel. Relax and overnight in Delhi. Delhi is the first city covered under the Package, which really set the mood of tourists of experiencing something extraordinary and unusual. Delhi is not just a city but a place bearing the complexities and the contradictions, the beauty and the dynamism, and has successfully coexisted with the past and the present. This city is rich in its architectural monument and cultural heritage making it a renowned and preferred tourist destination. Delhi has well absorbed diverse culture and tradition into its character providing tourists with fascinating and rewarding experience. Delhi is full of tourist attractions that are sure to enrich the memories of visitors with some awesome places and destinations. Some of the exciting places covered in our Golden Triangle Tour of Delhi include Red Fort, Raj Ghat, Rashtrapati Bhawan, India Gate, Laxmi Narayan Temple, Qutab Minar, Lotus Temple and many other interesting places. Morning drive to Agra, enroute visit Sikandra to see Tomb of Mughal Emperor Akbar. On Arrival transfer to hotel, later in the day visit Diwan - e Am (Chambers of Common men), Diwan – e –Khas (Chamber of VIP’s), Octagonal Tower, Jehangir Palace, all in the vicinity of Agra Fort and Tomb of Ittamuddaulahs. Later in the day visit The Grand Taj Mahal where you should spent some time, evening visit the Inlay Handicraft Market of Agra, overnight at the hotel in Agra. This is the second destination covered under the Golden Triangle that enlighten the rich historical past of this country. One of the prominent tourist destinations on the map of World Tourism comprises of three historical monuments, The Taj Mahal, Red Fort & Fatehpur Sikri. 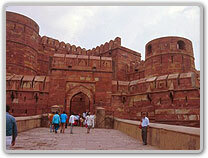 Agra is surely more than an architectural city of stones and graveyards. It is a lively cultural, art and religious centre that have enriched mankind and shaped human imagination over centuries. Golden Triangle Tour covering Agra and especially Taj Mahal tour let one experience the architectural wonder, it is rightly considered as Zenith of the Art and also as Enshrined Romance. 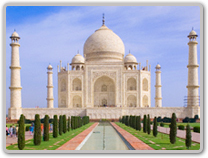 Taj Mahal is really like a beautiful poem in white marble, which took 22 long years to be completed. More than 20,000 skilled artisans inlaid the white marble edifice with precious and semi precious stones. 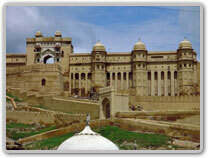 Morning take an excursion tour to Amber Fort - 11kms, and enjoy elephant ride to ascend/ descend this great fort. Later take sightseeing tour of Jaipur visiting City Palace, Hawa Mahal, Jantar Mantar Observatory all within the vicinity of City Palace. After lunch the day is kept free for shopping or individual activities. Overnight in Jaipur. Jaipur is the last destination covered under the travel that just continue the tempo of the entire tour and conclude this exciting tour in great style. Jaipur, the capital of Rajasthan is famous for its lavish havelis, majestic forts, sand dunes and beautiful lakes. Settled in the rocky hills of the Aravalli, Jaipur is an immaculate jewel of the desert sands of Rajasthan. Jaipur is as renowned for its marvellous architecture and town planning as it is renowned for the lively spirit of the people inhabiting it. Jaipur holds a unique synthesis of culture that can be experienced in the tour of Jaipur. Jaipur not only comprises of world renowned tourist attraction but the city also has tremendous infrastructure to support tourism in this Pink City. The prominent tourist destination covered are Delhi, Agra, and Jaipur include Sisodia Garden, Temple of Galta, Birla Temple, Amber Fort, City Palace, Hawa Mahal, Jantar Mantar and various other tourist attractions. Morning is kept free for individual activities, afternoon checkout & drive to Delhi, on arrival transfer to international airport to board the flight back home with beautiful memory of the Taj Mahal Tour. *The above is a private individual tour, it can be customized to a bespoke tour within your available days in hand & budget, just advice us the following & we will create a tour just for you. 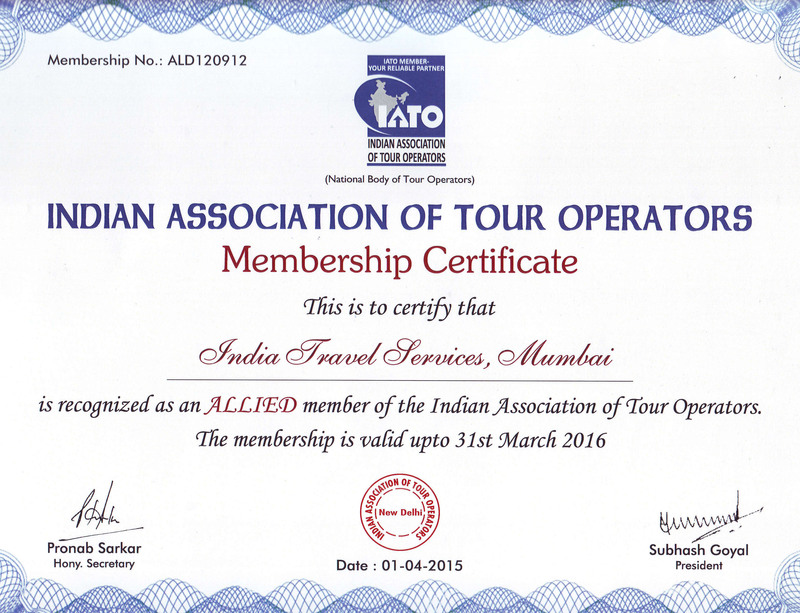 ◆ Number of days for touring in India. ◆ Number of people travelling.